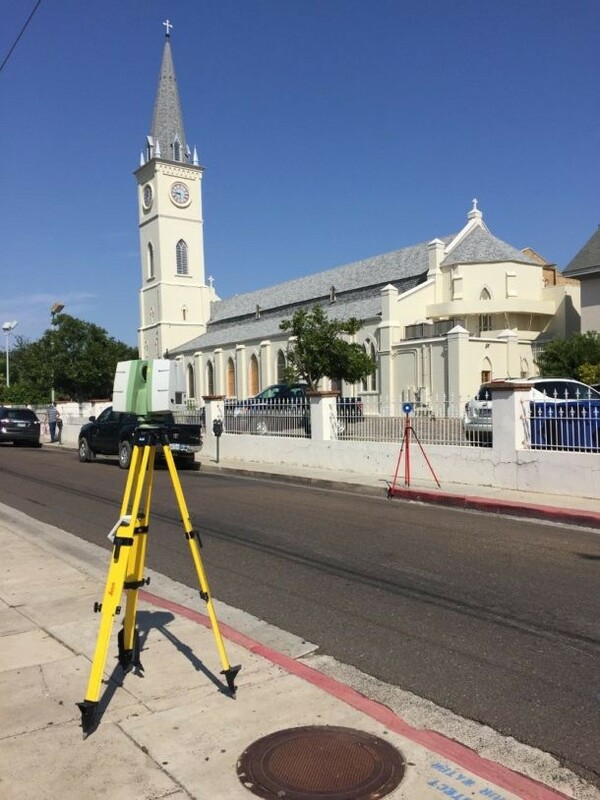 Task: TruePoint performed 3D laser scanning services for the as-built documentation of two historical homes and a Four Diamond Hotel in Laredo, Texas. With its beautiful gardens and its amazing view to Mexico and the Rio Grande River, this property is one of Laredo’s most precious legacies. TruePoint Laser Scanning captured point cloud data for 23,000 square feet of the 1830’s-built Casa Ortiz, 9,500 square feet in the 1900’s-built Zaragoza home and 26,000 square feet of the 1916-converted La Posada Hotel. The client is planning to incorporate a new Convention Center into the property. 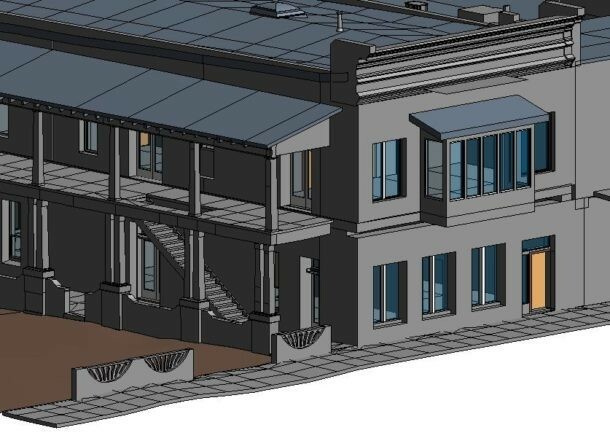 The task was to 3D laser scan the buildings to capture architectural features such as walls, windows, doors, fixtures, and create a LOD 200 Revit model. Challenge: The client had no existing drawings and needed to have an accurate 3D model to plan for the Convention Center. The property was filled with historical artwork, floors and fixtures. Some walls had shifted over time, the client needed to know which walls were not plumb to aid in planning for the new design. In addition, since the hotel was in operation and the rooms were occupied, capturing all of the necessary measurements the first time was imperative as there was no ability to go back in for missed measurements. Solutions: 3D laser scanning is non-intrusive, leaving historical properties untouched. 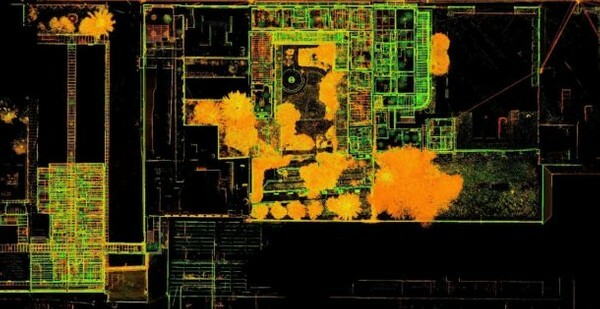 The scan technician was extremely careful during 3D laser scan setups and eliminated targets for the interior scanning. TruePoint Laser Scanning was able to quickly capture the existing conditions and provide detailed deliverables for the architectural firm to incorporate into their design model. Deliverable: TruePoint’s team of in-house engineers and architects delivered Intensity Map Point Cloud .rcs files aligned to the Revit Model. Added Value: The architect requested a Revit model to visualize and manipulate data to see how changes made in the model reflects throughout the design. TruePoint Laser Scanning is able to provide Design Intent or As-Built Models depending on the specific needs of the project. Our team of in-house experts are able to consult with our clients to determine the exact needs and uses of the model and will build the model accordingly. Thus, the client can plan and solve problems more efficiently. The 3D model improves accuracy and detail and enhances collaboration, allowing multiple users to work simultaneously on the same model. 3D laser scanning can be used for a variety of historical building architectural and engineering applications, from existing as-built drawings to plan for maintenance, to historical documentation of architecture and more. TruePoint Laser Scanning is the industry’s most experienced 3D laser scanning company for historical documentation. For 3D laser scanning services call 419-843-7226 or email info@truepointscanning.com.